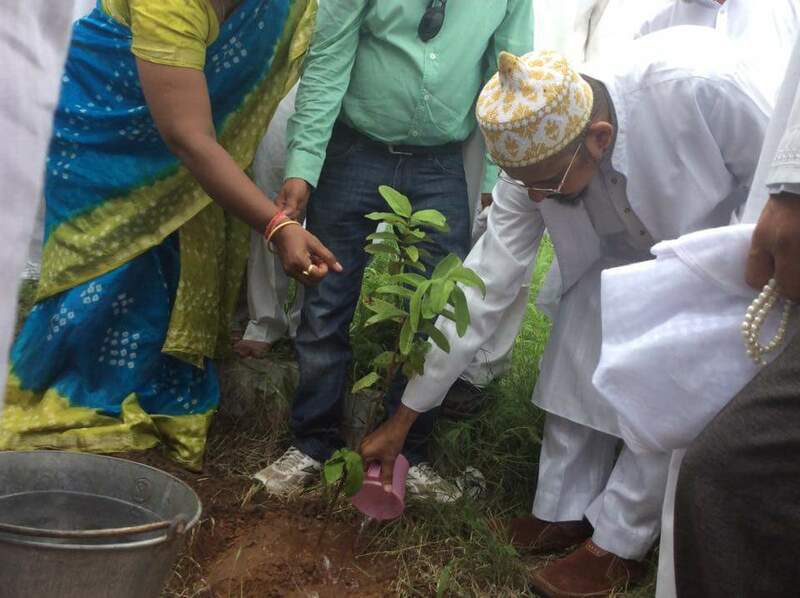 Under the aegis of Anjuman-e-Fakhri, Tree Plantation program was held at Jannat ul-Mumineen Qabarastaan, Pratapnagar, on the dast-e-mubaarak of Mukaasir saheb Saiyedi Mohammad Nuruddin saheb (dm) on 17 Shawwaal 1436/2-8-2015, Sunday. Saiyedi saheb said that, “This is a unique thing which should be done periodically and it adds to the safe and serene living and makes our environment rich and lively. 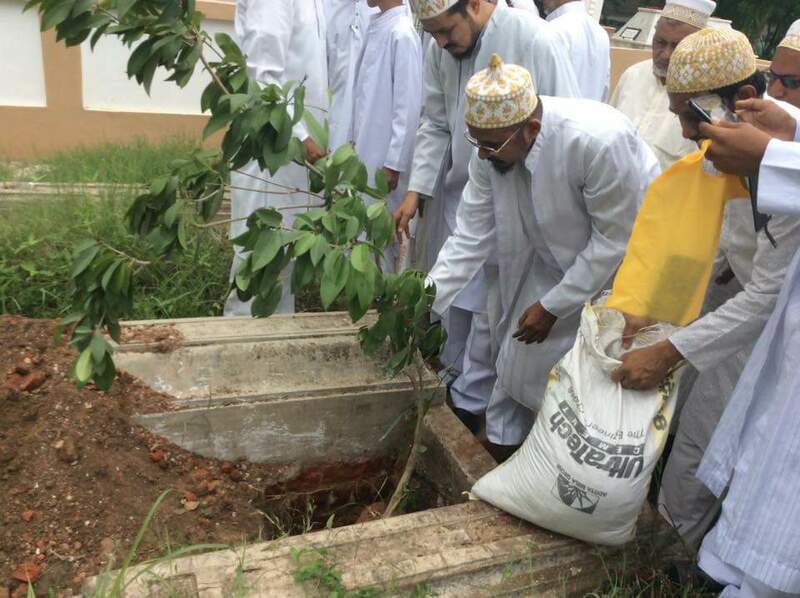 I love trees and while laying it at Daar us-Salaam, I myself do it with utmost care. 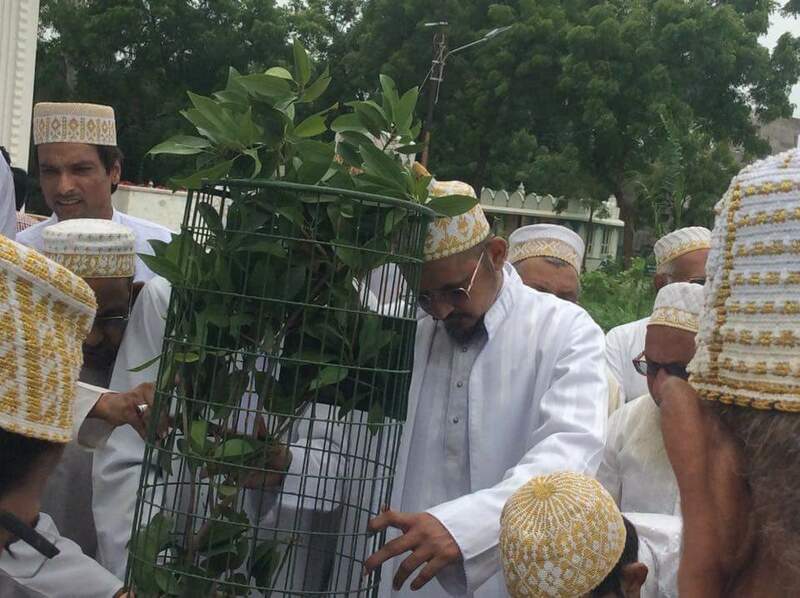 Before the Intiqaal of Maulaa Muqaddas Bawaji saheb, he expressed his wish to grow different Mango trees (amba). To fulfill his wish I planted different amba variety at Daar us-Salaam near his room where he used to spend his whole evening. I am happy that today you all have planned to plant saplings of fruit-bearing trees and it has been mentioned in Qur’an-e-Hakeem as “Shajarah Mubaarak”. Mumineen are like fruit-offering and flower-blossoming plants where people readily loves to go to get its fragrance and taste.